Ativan is the trademark name for the generic drug lorazepam. Ativan belongs to the benzodiazepine class of drugs. Scholars at the esteemed McGill University (Canada) explain how benzodiazepines work in the brain. Benzodiazepine users report an alcohol intoxication-like feeling. From a neurological standpoint, this effect is no surprise. According to McGill University, benzodiazepines are like alcohol in that they act on GABA receptor sites in the brain to increase GABA synaptic activity. A hypnotic or calming feeling results from this GABA activity. For this reason, Ativan is prescribed primarily for the treatment of activity. Why Is Ativan a Drug of Abuse? Unfortunately, Americans may falsely believe that prescription medications are safe all-around because they are U.S. Food and Drug Administration-approved and lawfully manufactured by government-regulated pharmaceutical labs. But abuse of Ativan is not safe, and incorrect perceptions about the safety of prescription medications continue to fuel the pill abuse epidemic in the US. Ativan use can result in physical dependence and addiction. In short, lorazepam is a highly addictive drug. Ativan is prescribed in two forms: a tablet and a liquid solution. The tablet formulation makes lorazepam susceptible to abuse because users can crush it then snort, smoke, or inject the resulting powder for a fast high. Abuse can also occur when users chew tablets, take too many pills, or take this medication for too long a period of time. Consumption of alcohol with Ativan or lorazepam is known to potentiate the effects of this benzodiazepine. Unlawful misuse of Ativan is a key factor in causing addiction to this medication. Recreational use of Ativan puts users at a greater risk of addiction than following a short-term treatment plan that involves this medication. To provide further indication of the addictiveness of this drug, consider that many prescribing doctors aim to limit prescriptions to three to four months so as to avoid habit formation in their patients. Ativan is intended to offer short-term relief for anxiety and other disorders. For instance, doctors often prescribe this drug for a short period, while a slower acting drug, such as an antidepressant, takes effect. In other words, in the treatment context, Ativan provides a bridge to long-term treatment and is not considered a long-term drug of use. Despite the good intentions of many medical professionals, Ativan has managed to become a drug of abuse. It is also important to note that a benzodiazepine overdose can be fatal. Benzodiazepines depress the normal pace of chemicals in the central nervous system. Such depression can plummet to a point where breathing stops. An understanding of the dangers of this drug provides further motivation to seek treatment for Ativan abuse. An important fact to keep in mind regarding drug abuse is that individuals may have different experiences based on particular brain chemistry. Also, Ativan abusers tend to add alcohol and other drugs into the mix, which produces different results. In this way, Ativan abusers are like dangerous mixologists who are capable of “tweaking” drug combinations to create the type of high desired. One benefit of entering a well-structured drug rehab program is that a team of addiction specialists will tailor a treatment plan to the specific needs of the recovering person. The starting point is always a careful and thorough intake, which includes gathering information about the person’s history of drug abuse and any mental health issues, be they diagnosed or undiagnosed. In the case of lorazepam abuse, some persons entering rehab will have received their introduction to this drug by way of a lawful prescription as part of a supervised anxiety treatment program. Persons with a substance abuse disorder who are also diagnosed with anxiety disorder, or any other mental health disorder, are said to have co-occurring disorders. Such combination disorders require specialized treatment, and it is most advisable to enter a treatment program that offers expert services in co-occurring disorders. It is important to understand that in the case of co-occurring disorders, treating the substance abuse without treating the co-occurring mental health disorder is likely a recipe for relapse. According to ABC News, in 2007 alone, doctors wrote over 82 million prescriptions for benzodiazepines. Induction into benzodiazepines may be easy, but research and personal accounts show that getting off this drug is quite difficult. In an interview with ABC News, Geraldine Burns, a former Ativan user discussed the dramatic nature of her withdrawal. Although Burns had never experienced a panic attack prior to her Ativan use, the first time she stopped taking this drug, she had a panic attack so extreme she had trouble breathing and felt like she was not in her own skin. It is important to note that Burns was a prescribed user; a doctor had put her on Ativan after a diagnosis of post-partum depression. Difficult withdrawals do not affect Ativan addicts alone. On the advice of her psychiatrist, Burns resumed use of Ativan, for nine more years, then decided to stop. When Burns withdrew for a second time, she experienced facial twitching, ringing in her ears, and tactile hallucinations of bugs crawling all over her scalp. Her example highlights a well-known medical phenomenon: benzodiazepines are some of the most difficult drugs from which to withdraw. In view of the challenges associated with stopping benzodiazepines, prevailing medical wisdom is that detox should occur in a hospital or other structured and supervised setting. In addition, patients are tapered off benzodiazepines. It is important to note that the need for a safe benzodiazepine detoxification arises when a person is physically dependent on this class of drugs. Such persons may or may not also be addicted to this drug; it depends on the individual case. A detoxification program should be tailored to the specific needs of the patient. At present, there is no known U.S. Food and Drug Administration-approved drug to facilitate benzodiazepine withdrawal. The purpose of a supervised detox is to ensure that the tapering process is safe and as comfortable as possible. Attending physicians and medical staff may provide prescription medications and over-the-counter palliatives to make the process more comfortable. After detoxification, an individual recovering from lorazepam abuse will enter the primary care phase of treatment. In the case of benzodiazepine abuse, there is not currently a pharmacological therapy available. In other words, there are not U.S. Food and Drug Administration-approved drugs to aid the process. Psycho-behavioral therapy treatment provides the bedrock of primary care treatment after detox. For individuals who are unfamiliar with the rehab process, it is helpful to understand that an effective program will be tailored to the individual, not just to the drug of abuse. In other words, there is no fixed treatment plan for Ativan abuse per se; addiction specialists will adapt existing treatment methodologies and approaches to the individual client’s needs and follow scholarship in the field about best treatment approaches for central nervous system depressant abuse. Recovery is a dynamic process. The rehab process focuses much of its efforts on the individual to address the reality that if the client’s preferred drug of abuse popped out of existence, the client would likely find a substitute. Despite appearances to the contrary, addiction is about abuse patterns more than any individual drug. To provide illumination into these approaches, this article will take a closer look at cognitive behavioral therapy. It is important to note that rehab centers may practice one or more of the treatment philosophies discussed above (as well as approaches not explicitly mentioned). A recovering person and/or loved ones are always welcome to learn more from a specific drug treatment center about their particular approach to behavioral therapy, both on a group and individual level. According to the National Institute on Drug Abuse, research on benzodiazepine addiction treatment is sparse. However, after a person has undergone a supervised detoxification, cognitive behavioral therapy CBT) has specifically been shown to successfully help with recovery from benzodiazepine abuse. PsychCentral provides an in-depth explanation of CBT’s goals, process, and treatment outcomes. Stated most simply, the goal of CBT is to identify cognitive processes (i.e., thought patterns) underlying problem behavioral areas, like substance abuse, as a way of changing those thoughts and behaviors. The therapist and client work together to review specific problems and work towards a practical solution. In this way, CBT is a combination of behavioral therapy and psychotherapy. CBT focuses on the meaning that a client gives to a particular thought, and then the reactions he or she has based on that thought. As CBT leads to greater awareness of one’s own thought patterns, a substance abuser can intercept seemingly automatic responses to drug cues. It is largely a process of thought investigation. The therapist and client can discuss hypothetical situations that could trigger abuse and introduce healthier ways of thinking about and responding to the situation. Strategies learned in CBT sessions have been proven to work even after therapy ends. CBT can provide recovering benzodiazepine abusers with a set of principles and tools to put to use in stressful situations that could induce a relapse. Addiction recovery is a lifelong process. Although intensive outpatient or acute programs eventually end, addiction specialists agree that the recovering person is best advised to engage a patchwork of effective aftercare services, such as residence in a sober living home, extended time in an outpatient program, ongoing individual psychotherapy and drug counseling, and attendance at group recovery meetings. Some people have been ongoing members of Narcotics Anonymous groups for decades and credit 12-step programs with being instrumental to their long-standing recovery. Successful addiction recovery develops along a continuum of increasing self-dependence. One important element of aftercare is that the person take greater responsibility for her recovery. Rehab begins the self-empowerment process, but it is the individual who must continue to fuel it as she increasingly gains strength in herself and builds a sober support network. Having a healthy social infrastructure in place, including having gainful employment, a sober sponsor, a stable living environment, and a drug-free spouse/partner and friends, can provide an effective defense against a relapse. Ativan, and other benzodiazepines are likely to have a long reign on the prescription drug market. As access to these drugs will remain after recovery, it is incumbent on the recovering lorazepam abuser to make healthy life decisions and opt against resumption of benzodiazepines. 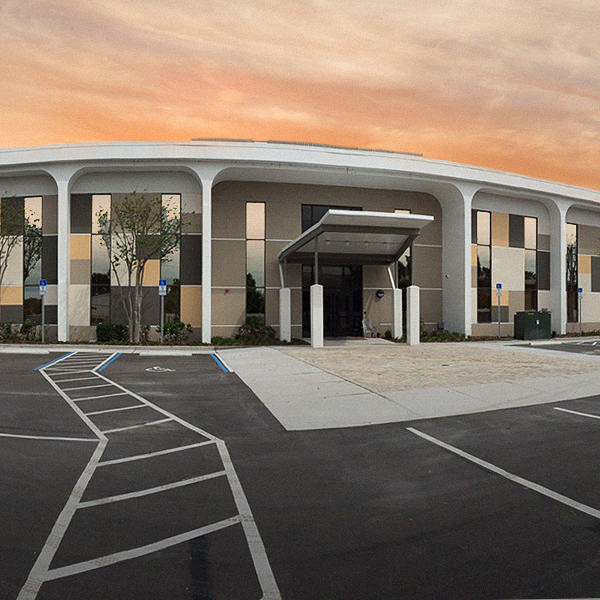 Clients at Orlando Recovery Center receive a full continuum of care from addiction experts with decades of experience in treating benzodiazepine abuse. 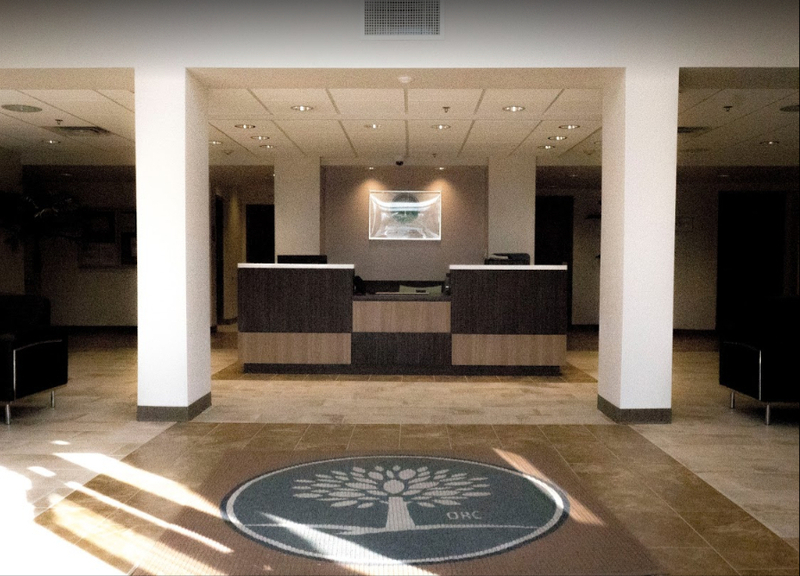 Orlando Recovery Center offers a full complement of rehab services, including medical detox, primary acute treatment, intensive outpatient care, and aftercare. The goal is to help clients attain sobriety while in the program and then successfully transition back to life. Call today to learn more.